Whether it's your first home or your fifth, deciding whom to build with is a big decision. And so it should be, your home is the foundation of your lifestyle. That is why it pays to choose a builder experienced to get things right. At G & R Homes we are totally committed to deliver a level of unmatched personal service and workmanship to exceed your expectations. We believe it's the personal touch that makes G & R Homes special. Because G & R Homes are a boutique family business we will provide you with the highest level of personalized service. Rosa, with over 20 years experience, will work with you through the design and quotation of your home. Roy, with a Bachelor of Building Degree, will then work beside you through the entire construction of your home. Gerry (Director) and Joe will personally supervise your home from start to finish. You are in safe hands knowing that Gerry has been building & supervising since 1980. This is the perfect combination that ensures your home will be everything you dreamt. G & R Homes high quality workmanship and attention to detail has been rewarded with a number of HIA & MBA awards over the years, including a rare Australian Housing Award. At Nouveau Homes we take pride in offering a true custom building service centered around you and your vision. Along with our preferred and highly experienced consultants, we provide a personalised range of services for all aspects of residential construction. This combined with dedicated subcontractors and innovation in products and service, gives our clients the perfect tools to bring their vision to life. 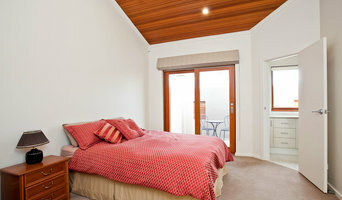 We love to build beautifully crafted homes for people that value unique design, quality materials and personal service. Quality building is more than simply bricks and mortar. A well designed and constructed home is built to be healthy, to improve relationship and hospitality and to function as “Art in Architecture”. Your home should become the best reflection of it’s owners. Regarding design, we start with our client’s vision and values, consideration of their particular family dynamics, practical needs and their architectural tastes. We then overlay the practical issues such as adherence to budget, any time constraints and the technical performance of preferred building options. We hope to uncover a design and building solution that is worthy of being called your ‘Dream Home’. At EcoUrbane we specialise in the building and renovation of Residential and Commercial properties that are both sleek, contemporary and environmentally sustainable. We believe that honesty, integrity and communication are vital to a successful building collaboration. Whatever stage you are at in the building process, we can assist you with: Building Designer/Architect Engineer Planning Application, Building Consent So whether you are just starting out and need assistance with both the design and construction of your new home, or have existing plans that you would like us to build to, call us on 0414 912 367 to see how EcoUrbane can work for you. Project and Construction Management contracting firm within the commercial, industrial, fit out and residential sector. General builders specializing in one off designs. Domestic, Small Commercial, Restorations and Specialty Construction. Samalex is a building design and construction practice located in the heart of Aldgate in the Adelaide Hills and has a focus on well planned and finely detailed homes which respond with sensitivity to their sites and environments and reflect the way we live today. Our philosophy of balance in building stems from basic principles of good building design which give special attention to orientation, materials, ventilation, scale and scope of works. These values translate into homes with classic proportions which exhibit a restrained and timeless quality, and where style is secondary to context, resulting in unique homes that enrich the quality of life. 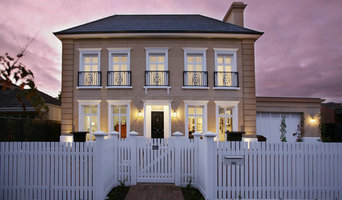 Chris Philpott, Director of Patrick Clare, specialises in Renovation work to existing homes in Adelaide. With an eye for detail and quality workmanship, Chris extends his own expectations to your project. Chris loves the challenge of renovating his clients homes and most of all he loves the journey that is created with every job undertaken by Patrick Clare. 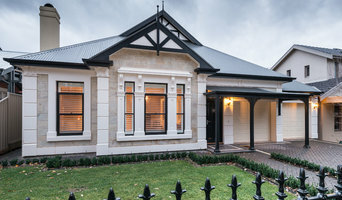 Platinum Fine Homes is a market leader in custom building and construction services for the residential market in Adelaide, South Australia – specialising in bespoke Custom New Homes and Quality Additions. 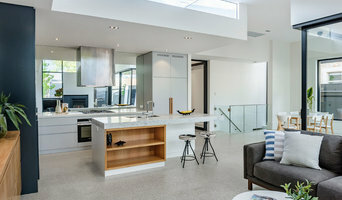 Darren Specht, Construction Manager and Principal, has significant experience within the building industry in South Australia, and a reputation for building truly inspiring new homes and additions. Remaining very much "hands on" from your initial enquiry through to the completion of your home project, Darren remains involved each step of the way - supported by a dedicated team of staff and carefully selected trades, all of whom share the same passion and enthusiasm for the building industry. Sense of pride in ones work and attention detail remains a key consideration when assessing the performance of both staff and contractors and has enabled us to consistently deliver homes of superior workmanship and quality. Whether you’re undergoing home renovations or building from scratch, hiring the right home builder is essential. Your choice will determine the quality of craftsmanship, as well as how high your stress levels rise! A home design or building project is a huge and multifaceted undertaking, so it’s important to find a local Prospect, SA, AU builder you can trust to bring your vision to life and keep the process under control. The Houzz professional directory of home builders is a great starting point to choose the right builder for your needs. What exactly do Prospect, SA, AU home builders do? Before any nails are hammered down, construction companies perform market research to determine whether the prospective site for a new home in Prospect, SA, AU makes sense. They also survey the land to make sure it is suitable for construction, and obtain any necessary South Australia permits. Scroll through this page to find contractors in Prospect, SA, AU. Then, click on a professional to browse photos of their latest projects and see how their work compares to the scope of your project. Read reviews to see how other homeowners rate their work, and message the home builder or construction company directly to ask any specific questions.